If you can afford it, it might be simple to pay off your mortgage earlier. But should you? That’s a complicated question. Refinance with a shorter-term mortgage. Pay a little more each month. Throw ‘found’ money at the mortgage. GFCI and AFCI are specialized electrical safety devices with very different purposes. Let's take a look at how each is used in the home as well as how they work. A GFCI, or ground fault circuit interrupter, is an inexpensive device that is designed to protect people from electrical shock in the home. GFCI receptacles should be installed in any area with potential risk for electrical shot with a direct path to the ground, especially areas with plumbing. These are commonly installed in bathrooms, along kitchen counters, in garages, unfinished basements, outdoor outlets and near swimming pools and spas. A GFCI monitors the electrical current leaving from and returning to the receptacle, which should be the same. If there is a mismatch in the currents, the GFCI will shut off the receptacle immediately, protecting people from serious electrical shock. GFCIs have various configurations, including the standard GFCI receptacle with "test" and "reset" buttons. Homeowners should test these monthly to ensure proper operation. If the GFCI fails to trip or can't be reset, it should be replaced. There are also remote GFCIs, which protect standard receptacles in the circuit. These should always have a visible label indicating GFCI protection, because there is no way to tell just by looking that it is or isn't protected. Another option is a GFCI breaker, which is installed at the electrical panel and protects the entire circuit. These can be identified by the presence of test and reset buttons. Effective with RD Conditional Commitments dated 10-1-16 and beyond, the upfront fee is being reduced from 2.75% to 1.0% and the annual fee is being reduced from .5% to .35%. 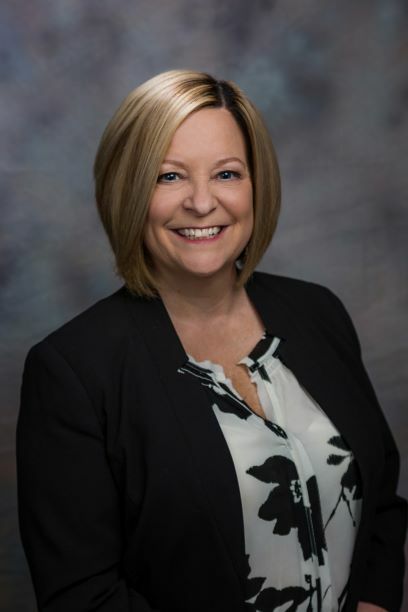 This is GREAT news Rural Development for borrowers! This means they will borrow less up front, and pay less in monthly mortgage insurance premiums! This change takes effect for RD Conditional Commitments (RD Approvals) issued on/after 10-1-16! News You Can Use - Are you ready for spring/summer? Are you ready for spring & summer? Now is a great time to get your home in top shape for the months ahead. Whatever the weather, caring for your home now will help to ensure a worry-free, comfortable spring & summer. Follow a few of these tips each week and you'll be done in no time. Inspect exterior bricks and siding for gaps and cracks and make any needed repairs. If paint is peeling, cracking, or chipped, repair and repaint now. Have air conditioning units serviced to ensure good operation. Promote air circulation around the unit by keeping surrounding shrubs and plants trimmed. Test irrigation/sprinkler systems and replace any broken sprinkler heads. Check for proper water coverage for all areas of yard and adjust if necessary. Vacuum or brush off refrigerator coils to help maintain energy efficiency. Check dehumidifier for proper operations. Take area rugs outside and hang them over a deck or porch rail to air out. Adjust ceiling fans for proper balance and change the rotation to the summer setting. Also, give the unit a good dusting..
As the weather improves, open windows on nice days to allow fresh air flowing throughout the home. Here are just some of the areas I could ask you to pay particularly close attention to as you're weighing the options. This goes beyond simply calculating the dollar difference between the various offer prices. Before you do that, be sure to do all the math. Subtract things like closing costs, fees and potential repairs to determine the net proceeds of each offer. Can the buyer provide proof from the bank that there are funds to back the offer? I can help verify this – and help you understand the terms of the buyer's financing. On Monday, March 9, 2015, the 3 largest credit-reporting firms – Equifax, Experian, and TransUnion – reached an agreement with New York state to overhaul their reporting and error resolution practices. Many of these changes will be implemented on a national basis roughly over the next 3 years. Specifically, the firms will be required to use trained employees to review and resolve consumer disputes. Another major change will be the removal of medical debts from credit reports once the debts are paid instead of the typical 7 years. Finally, the credit bureaus will be required to implement a 180-day waiting period before adding any medical debt information to consumers' credit reports. This grace period is intended to allow consumers to clear up any discrepancies and catch up with other unpaid bills. The list of new responsibilities can seem overwhelming when you buy a home or become a first-time homeowner. One responsibility that tends to get overlooked until it becomes a larger issue is that of household pests. A household pest is "a destructive insect or other animal that attacks" your home. Pests range throughout the U.S., but the most common pests are those that have become almost commonplace in our lives. Here are some of the most common pests encountered by homeowners throughout the U.S., and what you can do to help prevent pests in your home. Termites are generally grouped by their nesting and feeding habits: subterranean, soil-dwelling, dry wood, damp wood and grass-feeding. They feed on dead plant material, generally in the form of wood, leaves, soil and animal dung. Termites can cause significant structural damage to buildings. Those classified as subterranean and dry wood are those that are responsible for the damage to homes. 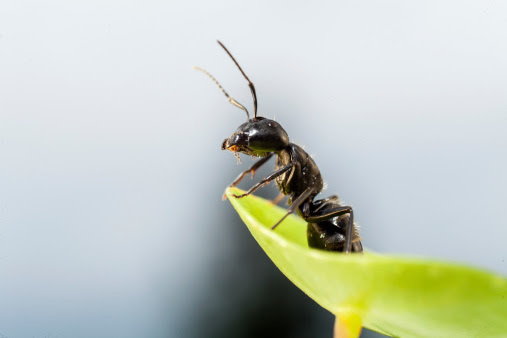 Ants are the most common household pests in the north central states. They are social insects, and they have a wide variety of nesting habits. Ants can build nests in soil, behind moldings, baseboards and counter tops, and some types nest in decaying or moisture damaged wood. Ants will feed on all types of food, and ant damage varies. Most ants cause little damage, but carpenter ants can weaken wood structures similar to termites, and the majority of ants don't transmit diseases. 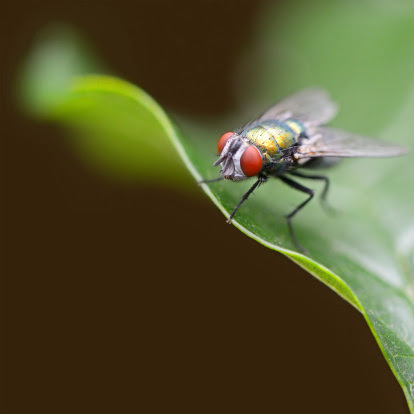 Flies are some of the most annoying pests in the home. They land on almost every surface, and their diet includes a wide variety of foods: human food, animal food, animal carcasses, garbage and excrement. Flies also carry germs and diseases. They are known to transfer over 100 pathogens, some of which include salmonella, anthrax, tuberculosis, and the eggs of parasitic worms. Spiders are generally not harmful and they do feed on other insects like flies and other spiders. Most spiders found in the home are not venomous, but there are some that homeowners don't want to find inside their house. The Black Widow and Brown Recluse are two of the most talked about spiders homeowners do not want to find in their homes. Black Widows can be found throughout the U.S., and Brown Recluse are predominately found in the Midwestern States, most notably Oklahoma, Arkansas and Missouri. All spiders have the ability to travel to all states by ways of hiding in boxes, packages and produce. 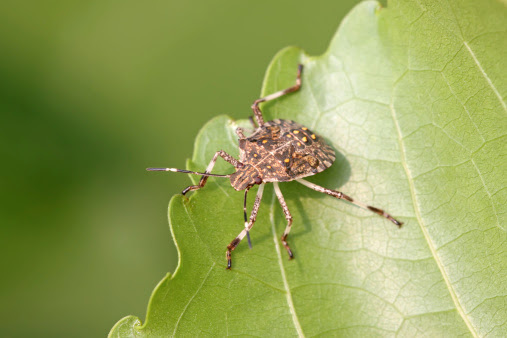 Stink bugs are found throughout the U.S., and most of the time homeowners don't know they have an issue until early fall, when stink bugs turn up on the sunny side of homes where they can warm themselves. During the summer months stink bugs live outside, feeding on fruits, grains and other crops. During the colder months, stink bugs will hide inside walls or in attics and crawl spaces. These bugs get their name from the unpleasant odor they produce when they feel threatened. Rodents are warm-blooded and are found throughout the U.S. 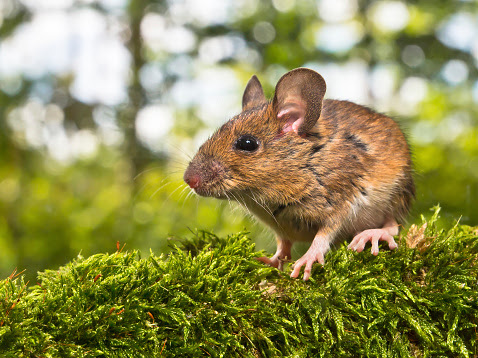 The most common types of rodents are mice and rats. Both rapidly breed and are capable of squeezing through spaces that appear smaller than their bodies. Rodents seek warm shelter in the cold months, particularly mice, who seek food, water and warmth within homes. Generally, if one rodent is found, many more are hiding nearby. Most home pests can be avoided by doing simple, everyday things. As a homeowner, make sure your doors and windows are closed, as these are the most common ways for pests to enter a home. Make sure window and door screens are in good repair or working order. By eliminating moisture buildup in small areas and basements you reduce the risk of creating hospitable environments for pests. Sealing openings in a home's foundation will help reduce access to your home. Trees harbor pests -- by keeping tree branches trimmed and away from the home you deter pests (especially spiders) from having easy access to your home's roof. Moisture attracts pests -- direct rain water away from the home and foundation to prevent possible moisture buildup. If you have fire wood, store it at least 20 feet away from the house. Flies and other pests are attracted to garbage, so ensuring that garbage cans are sealed tight and all animal deposits are picked up will help reduce the risks of attracting pests into your home. The best deterrent to pests remains a clean, uncluttered home, where food, crumbs, and anything else that has the potential to attract pests is put away, covered or thrown away.